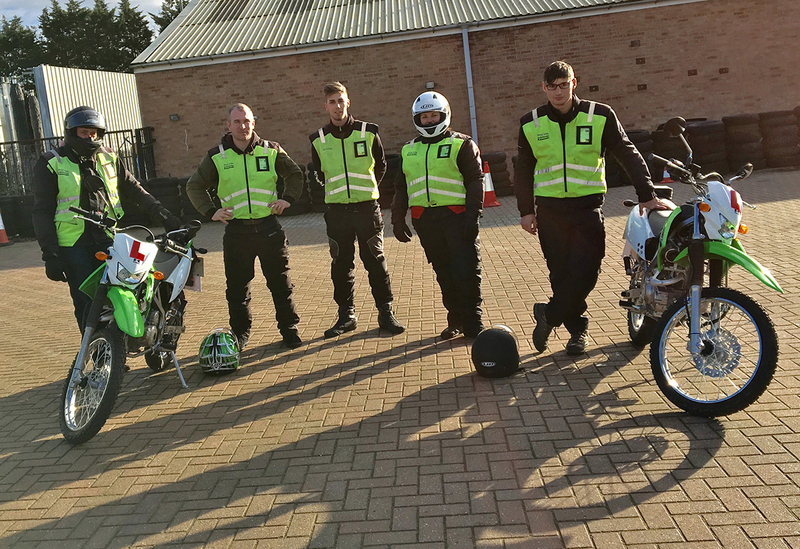 Colchester Kawasaki is an Approved Training Body licensed by the DVSA. At Colchester Kawasaki, you will benefit from riding the latest Kawasaki motorcycles, replaced regularly with new models, to ensure you are always riding a new, clean, professionally maintained bike, looked after by our own Kawasaki workshop technicians. In many cases, with the Kawasaki Z650 being so popular with new riders, you will be riding exactly the same bike as the one you are buying! Our brand new Z650 bikes are especially easy to ride and learn on, we have a lowered model for shorter riders and restricted versions for the A2 test. With our very own private off-road training area on site at our new showroom on Commerce Way, it could not be more convenient and comfortable to begin your journey into motorcycling! We also have plenty of top quality student kit for you to use if needed. As a student of Colchester Kawasaki Training School, you will also be entitled to a 15% loyalty discount card for equipment and accessories, valid for life, to help you with the cost of kitting up in our well equipped and extensively stocked shop. It's our job to get you safely on the road and help make that journey as fun and trouble free as possible. Our full time administration and central booking facility and dedicated team of experienced DAS qualified professional motorcycle instructors will guide you through every aspect of your training, organize your test bookings, help you choose the right equipment and be there for you every step of the way, whatever you need. Please call us on 01206 860006 for a friendly chat any time or with any questions you may have regarding your training requirements.